Optimum Preparedness promotes disaster/emergency preparedness and self-reliant living by offering survival kits, products for water purification/storage, long term food storage, mylar foil oxygen barrier bags and oxygen absorbers for packaging your own foods, advanced medical kits, books on disaster survival, country living, medical manuals, food preservation and more. With over 25 years experience, we are here to help you achieve any level of preparedness that you want. All proteins, no matter what food they come from, are made up of amino acids. Amino acids are the building blocks of protein. And protein is what your body needs to build and maintain your body’s health. And when we think of Protein, we think of chicken, beef, turkey, pork, fish and eggs. When you eat a T-bone steak or baked beans (or anything that contains any protein at all, even a tiny amount), your digestive system breaks the food down into amino acids that are absorbed into your blood stream. From there, the amino acids are used to build the proteins that make up your muscles, organs, your brain and lots of other tissues. Your body can make many amino acids itself, but there are some amino acids that the human body can't manufacture. These amino acids are called the essential amino acids because you have to actually eat foods that contain them. A deficiency in any one of those 10 essential amino acids can cause the proteins in your muscle and other tissues to deteriorate, as your body seeks to obtain the necessary amino acid it’s missing by stealing it from your own body tissue. Animal proteins all contain every single one of these essential amino acids, so they're called complete proteins. Eggs also contain every single one of these essential amino acids (see our Ova Easy Egg Crystals - they taste as good as freshly laid eggs and they have a 7 year shelf life!). But plant proteins are a little different. Each plant that you eat has a different combination of amino acids. For example, grains and cereals are extremely low in Lysine. So low that they can't even be considered a source of Lysine. If you only eat grains and cereals, you won't get enough Lysine, and that's bad. Luckily, legumes such as peanuts, peas, dry beans and lentils contain a lot of Lysine -- all the Lysine you really need. But legumes (the peanuts, peas, dry beans and lentils) don’t have enoughf tryptophan, methionine and cystine. Luckily (again), those essential amino acids ARE found in grains and cereals! So when you eat some grains/cereals AND some legumes like dry beans or lentils, you will be getting all of the essential amino acids your body needs to be strong and healthy, and keep your brain powered up. This is very good news for vegetarians, and REALLY good news for preppers who might not have access to steaks, chops and burgers when they are eating their food storage items. 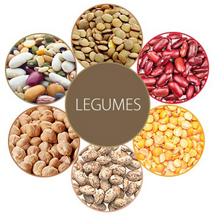 You don't need to eat both grains and legumes together at every meal. Studies now show that your body can get all the proteins it needs from foods that are eaten over the course of the day. So you might eat oatmeal (a grain) at breakfast and lentil soup (the legume) at lunch. As long as you get a variety of grains and legumes throughout the day, you'll get ample amounts of each amino acid. But when we are talking about living off of your stored food, where you don’t have access to fresh meats or eggs from grocery stores, knowing what to store for your optimal health becomes important. And you probably won’t be cooking up a 7 course meal. So here are some easy ways to combine your grains and legumes to make a complete protein. 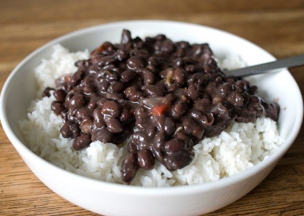 For our purposes of cooking up a meal consisting of a grain of some sort and then a legume like lentils, pinto or black beans, red beans, black eyed peas (also called cowpeas), we want to know the correct ratio of grain to legume. Let’s use lentils and brown rice as our example, because the cooking time for both of them is the same and we can put both of them into the same pot. 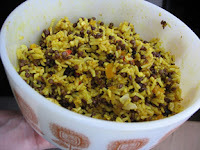 We want to use 1 part lentil (or other legume) to 3 or 4 parts rice (or other grain). This combo will give us all the essential amino acids our bodies need to make a complete protein and keep us healthy and strong. I put ½ cup of lentils in a pot (that is the “1 part legume”) and then 1 ½ cups of brown rice in the pot (that’s 3 x ½ cup, so it’s the “3 parts grain”). I now have 2 cups of dried rice and lentils in the pot. Now, how much water? With brown rice and lentils it’s easy – you always put 2 times the water in as you have the dried lentils and rice, so since I have 2 cups of dried lentils and rice, I will add 4 cups of water to the pot. 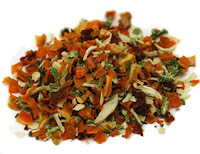 While cooking up only some rice and lentils will keep you healthy indefinitely, it will be a boring meal without additions like salt, other seasonings and additional ingredients. And boy can I make rice and lentils a lot of different ways! 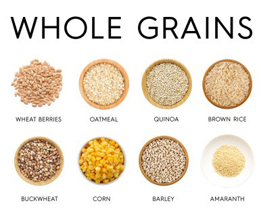 But that is for the next blog article – this one is about getting enough grains and beans and how much of each. 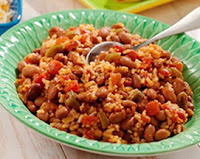 Once you get the concept of combining the grains with the legumes, the next thing to look at is how to cook them and VERY importantly, how to season the meals. 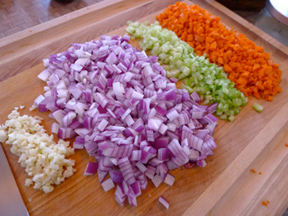 On any normal day, you might chop up some onion and throw it in the pot. Maybe throw a little garlic in there, and some salt, maybe some black pepper. And then peel and cut up a few carrots and toss them in along with a couple of stalks of celery. 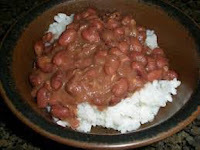 And then your rice and beans/lentils will taste pretty good. But we’re talking no Albertsons, no Safeway, no Walmart to go get the onion, garlic and carrots. This is why you thought ahead and bought BULK ORGANIC SPICES at Optimum Preparedness (us) - a pound of organic dehydrated minced garlic, a pound of dehydrated chopped onion and a pound bag of our dehydrated vegetable blend (carrots, onion, tomato, spinach, celery, red bell pepper and, green bell pepper) and packed them up in our Mylar bags along with oxygen absorbers. So in our upcoming blog article I’m going to show how to make several different and tasty meals using our basic Lentils and Brown Rice from our food storage supplies. Be prepared to be pleasantly surprised. Check back, because next I'll be talking about some great (and different) ways to prepare the basic Rice and Lentils combo (actual recipes). And you'll be able to pre-mix the dry ingredients, then pack the dry mixture in Mylar bags for long term storage! thank you, as a vegetarian I still eat eggs and cheese, but still feel weakish a lot of times. So, I don't think I'm getting enough protein. This blog that you are writing will help me. I'm going to read everyone that you write. Thanks so much. I have been in the preparedness business for over 25 years, and lived off the grid for over 25 years. I love everything that helps people be more self-reliant, more prepared, not from a place of fear, but from a place of empowerment. If you have a full pantry, a means to provide light and cooking, heat, water and other basic necessities even if your power goes out, then you CAN weather the storm at home, all safe and cozy. Being snowed in or without power for a week should be a vacation, not a week to be miserable. It's all in the preparation. There are things you can do right now, today, to make your place more self sufficient. I'm here to share how to do a whole lot of little things that can make a big difference. Cheers! Copyright © 2010 Optimum Preparedness. All Rights Reserved.. Simple theme. Theme images by andynwt. Powered by Blogger.